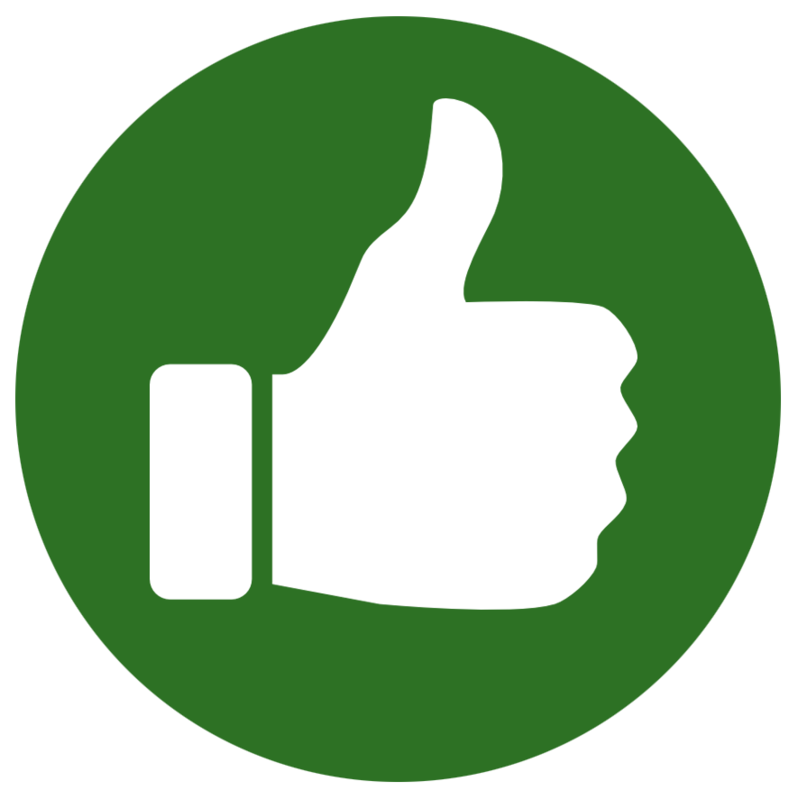 Just been to a fantastic archery store,dozens of compound hunting bows,massive amount of associated kit,there's a range and some very knowledgeable guys who will set up and tune your bow for you while you peruse the store,I am going on their range this week maybe next,decent indoor range with an instructor,at the moment I am watching a guy hunt barren ground caribou with a bow on a pin sharp 4K TV,crystal clear footage. Load of crossbows in there mate,there was actually a guy and his son being shown a Horton while I was in there,I will get some pics later in the week,some of them are pretty futuristic reverse crossbows. just googled Horton crossbows ,pretty impressive ,are the reversed ones more powerful? I've been interested in the Scorpyd. 440fps! 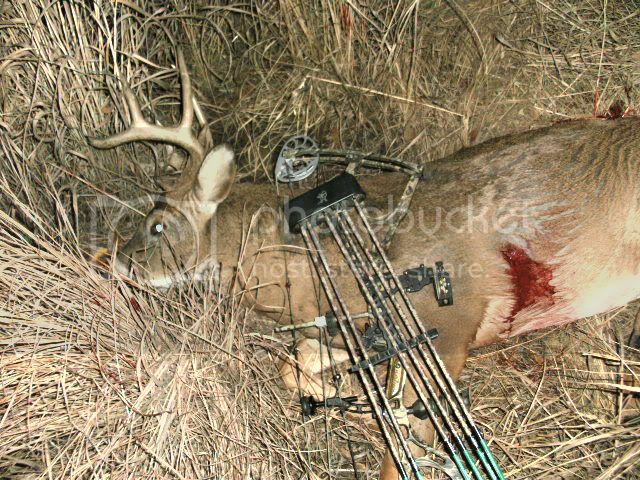 Most recent bow kill one week ago. 22 yards in the rut as he passed me. I used an older Bowtech Guardian 70# pull with Phantom 125gr. Muzzies. He went about 35 yards and was dead in 10 seconds. Had a shot at a bigger one the week before, but hit a branch on the way. Such is life. This one'll taste better. 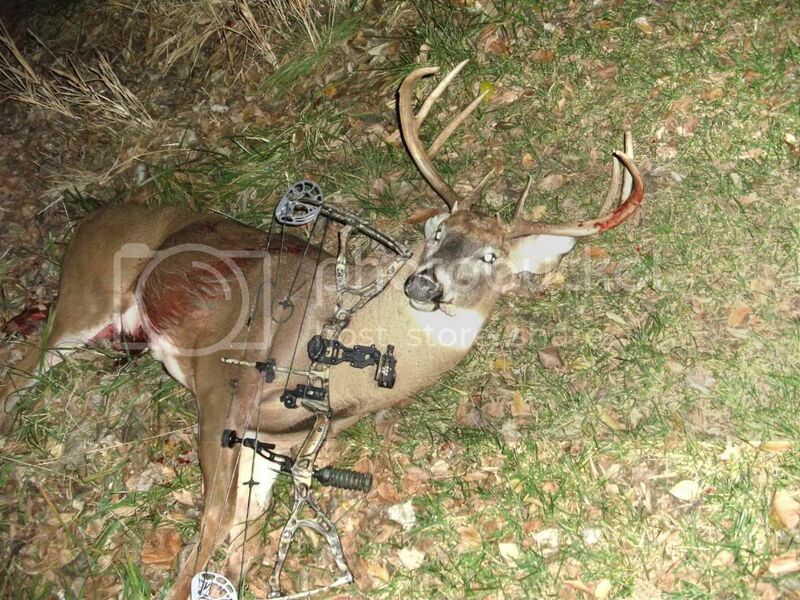 Thanks for your pics doc,much appreciated,any chance of a pic of your bowtech,that's a nice buck.Crossbows. 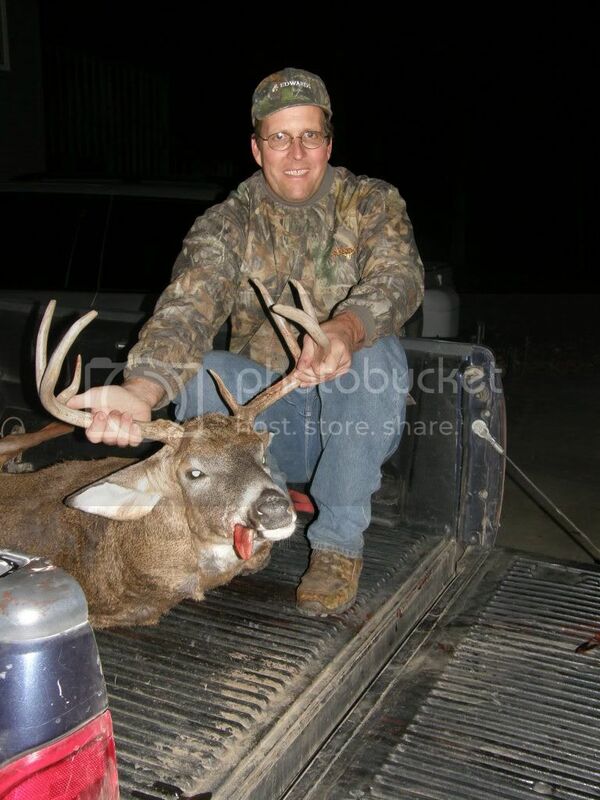 Great pics doc,your lucky living in the states where bowhunting is seen as a right,some bow hunters make a great living over here,I remember seeing tom mirandas mansion and 4000 antique book library on DVD all bought from his hunting shows and merchandise,his trophy room is off the scale,even got a full sized African Tusker head mount,keep it up mate,and thanks for the pics. Yes. If I had known you could make a living doing this, I may have had to reconsider what I do. I love to hunt. (but I work 50 to 55 hours a week.) Initially it just wasn't all that available for me. Its still an expensive pastime if you don't have a place to hunt. Since we only get one buck a year, bow hunting can provide an easy 2 months of pursuit, hopefully culminating in success. I have much less time into it than most. I usually have a bigger buck available. I just don't have the time to pursue them to the end. I have 213 acres. My wife has 300. My Dad has 900 or so. Its gotten that permissions are all dictated by money. We get 7500 a year for rights to the Western Kansas 300 acres. 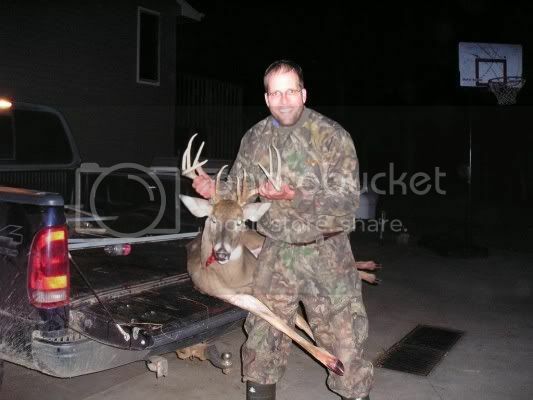 Its got the big Kansas bucks you see on the hunting programs. Mine has at times as well. I did witness a famous TV hunter "bow hunting". He was able to snag the beast initially with a rifle illegally. Wonder how often that happens... Must be high pressure to break the law for the right of a successful hunt. 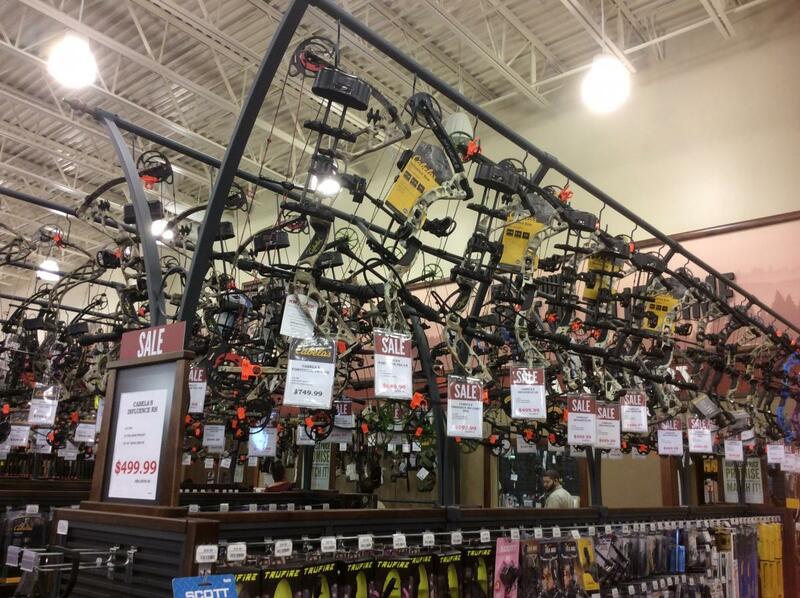 Bow hunting? Sure I do it. I have a Proline compound bow that I've had as long as I can remember. I have a small collection of stacked arrows to show how accurate it is. I also have a Darton Cross bow. This is certainly easier to use and it's accurate beyond belief. I use Rage two blade broadheads and they are tossed after a single use. These produce a blood trail that you wouldn't believe. I'd add that Bird is right about missed shots and suffering deer. 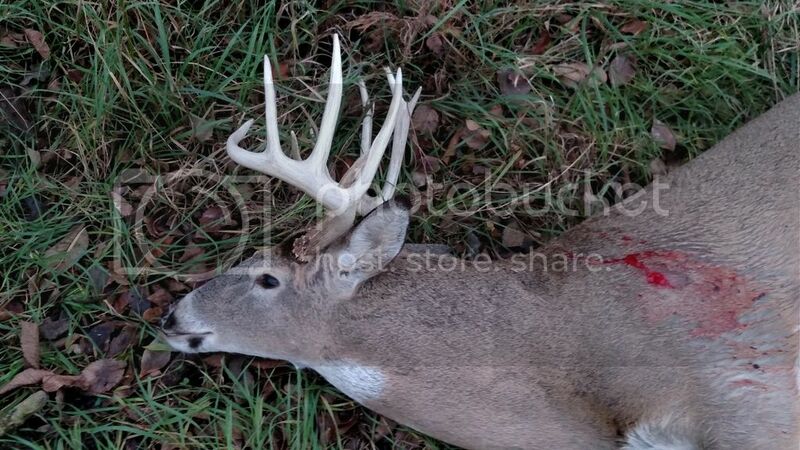 A couple weeks ago I shot a small buck. I waited the usual 15 minutes to follow him up. I walked out to where he had stood to collect the bolt and noticed drops of blood. This is not usual because on impact deer move and the first blood is usually a ways away. Anyway I followed him up and the blood trail I've come to expect started 20 feet away. He fell about 30 yards from where I shot him and on inspection I saw where he had a long slice running along his sternum. It was not very fresh but had dripped enough blood that I noticed it when I walked up to collect my arrow. All the years of blood tracking with my wirehair most of the work was from archers and many of the shots were not ideal. What sort of initial kit is essential ? 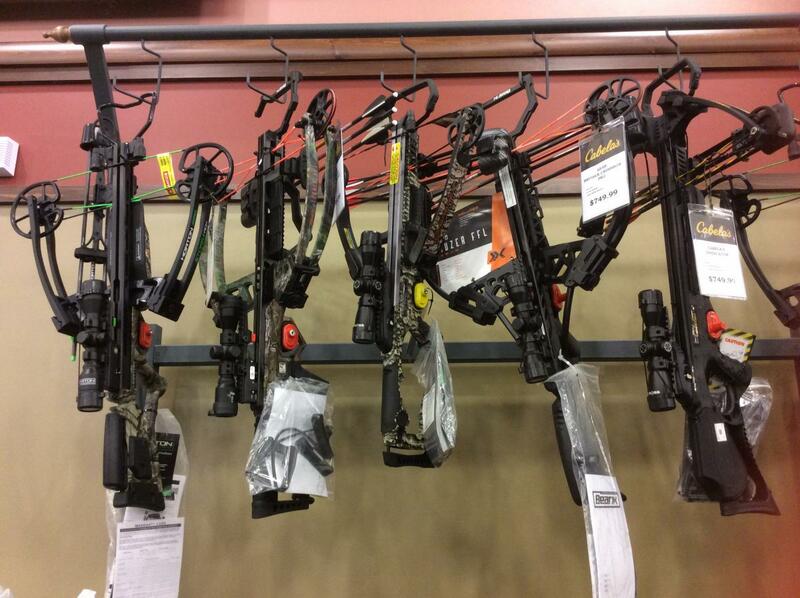 And for say like 650 dollars what type of bow would you get? Apparently all bowed animals suffer a long lingering death!!! I would get a lower end Bowtech. Being quiet is what its all about. Pure speed isn't necessary for me. I've killed with 150 FPS recurves. I like the Bowtech, but just about any with a solid wall will get by with me. I have a very long reach, so I needed a bigger bow. The rest is the same as for any hunting trip with a rifle. We rely more on camo, being scent free isn't as important as hunting the wind. I pay particular attention to comfort and being still. I have a dozen high stands and a couple of tower stands. Some used way more than others. I don't like the expandable broad heads because of all the brush and grass I might shoot through. I also like the fact I've used a Muzzy a half dozen times several times in my life. The Rage, which do work very well, will be usable once. You folks in the UK usually have the ability to drive up fairly close without having to pack out your deer. Some places out West, we have to quarter them and pack them out on our backs. 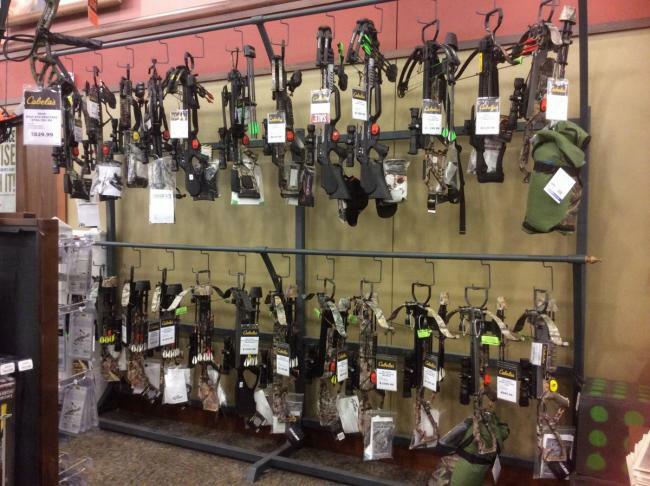 Having good backpacks for this as well as something like a cart or perhaps a sled will help on public land. Dragging 180# up and down for 3 miles can get hard sometimes. I did pack out a big mule deer by myself for 18 miles last year. That tested the mettle of this then 52 year old!